Many workplaces have ‘one size fits all’ office furniture. This means that anyone who is much taller than average height will find their chair size, sitting height and desk height does not suit their body’s proportions or help them to work with good postures. Tall people can often experience discomfort, pain and even injury due to working with poor postures. A very tall person will find that a standard chair’s seat pan is too small to support their legs. They sit with much of their leg unsupported and overhanging the front of the seat. This is not comfortable and can cause pressure on the underside of the thighs. Taller people also often find that the chair they are using does not raise high enough for their needs, forcing them to sit too low; with their hips below their knee level. Standard desks are about 720mm high – based on the average height of the population. If a tall person sits at the correct height (hips slightly higher than knees) a standard desk will be too low for comfortable and safe computer use. They will lean forward and down to the desk, causing poor and potentially dangerous back postures. Taller people may also need to drop their chair height down so that their knees can fit under the desk. This causes unsafe and uncomfortable leg and hip positions. Taller people do not need footrests. 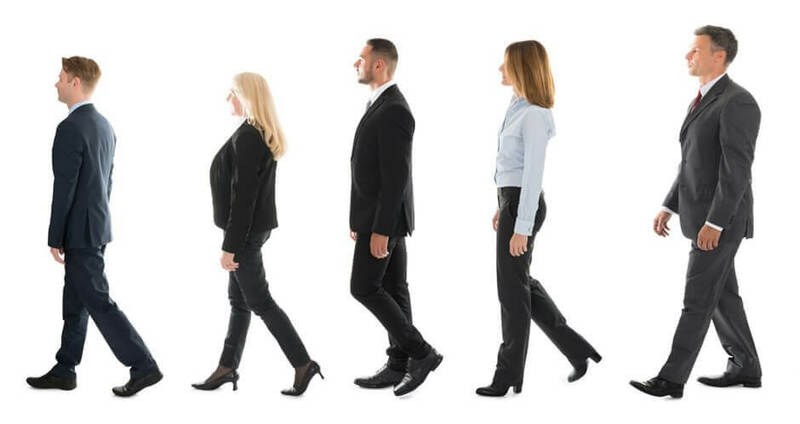 The exception to this rule can be where knee pain is present and there is a preference to move the knees by regularly moving the feet from floor to footrest. When fitting out a workplace, there should be height adjustable height desks (manual or electric) and a range of chairs to suit average, tall and shorter stature people. For best comfort and safety a taller person should sit at a desk which suits their height and use a chair which suits their leg length. This allows them to have the same comfort and safety as someone of average height using a standard height desk. Choose a suitable chair. A chair with a deeper seat pan and higher gas strut is likely to be needed. Chairs with a seat slide may become long enough, but this will depend on the make. Check also that the rating of the chair is suited to the person’s weight. Back Centre has a range of chairs to suit taller people. Remember; all chairs can be trialled prior to purchase to ensure you are completely happy with your choice. Taller people need desks 750–780mm or even higher. The best type of desk for a tall person is an electric desk. This will allow not only higher sitting but also standing. Raising blocks are a low cost way to raise a desk but only if the desk is a free standing type.